Intelligent Systems Are Boosting India’s Transport, But Is That Enough? Artificial Intelligence is a multidisciplinary field and has sound claim to be one of the most advanced sectors. Much of the development has been achieved through challenges posed by day-to-day problems which scientists grapple with. In AI, one of the key applications is in the domain of transportation, which will affect almost eight billion people. Sensing this, the Delhi government is planning to invest around ₹1,000 crore in intelligent traffic management system, with an aim to overhaul the existing traffic system in India’s capital. It is reported that the new traffic management system will work on a radar-based monitoring with the help of AI. There have been also instances where these intelligent services have been extended to crowd management and service delivery as well. There is a brilliant example of how Allahabad police is using new tech to manage vehicular and transportation traffic at the Kumbh Mela, one of the world’s largest religious gatherings. Autonomous Vehicles: Self-driving cars and trucks have been researched and studied with high interest since the Defense Advanced Research Projects Agency (DARPA) challenge. In the commercial sector, companies like Uber and Tesla have produced self-driving trucks to reduce the number of accidents on highways and increase productivity. Pedestrian Safety: The use of AI to predict the paths of pedestrians and cyclists will decrease traffic accidents and injuries allowing for more diverse transportation usage and an overall reduction in carbon footprint. Improvement Of Public Safety: Safety of citizens when traveling by public transport in urban areas is improved by tracking crime in real time. This will also enable the police to increase their efficiency by patrolling and keeping their citizens safe. 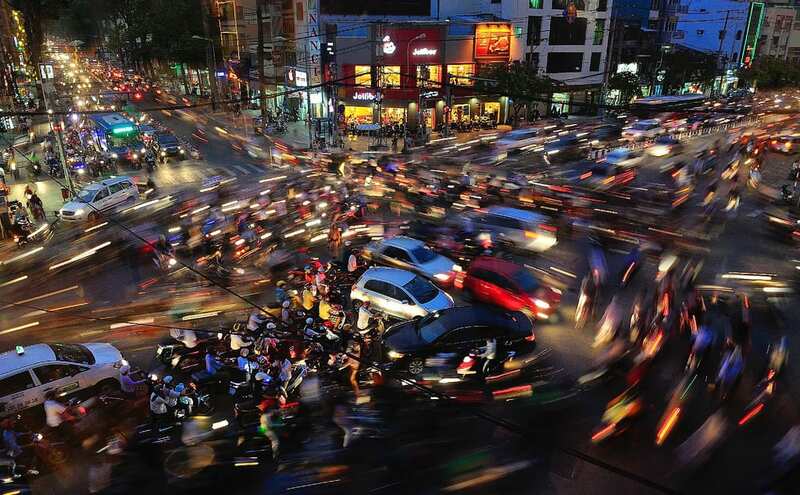 Traffic Patterns: The flow of traffic greatly affects the transportation system. Data generated by traffic flows can be studied for traffic management via AI. This will lead to streamlined traffic patterns and a significant reduction in congestion. This can also be applied to public transport for optimal scheduling and routing. Corporate Decision Making: The road freight transport system can utilise accurate prediction methods to forecast their volume using AI methods, which simplifies transportation company planning. India’s transportation system is grappling with inadequate and inefficient public transport infrastructure, organised public transport in few cities, and increasing rates of motorisation. There have been opportunities for innovations with increasing projects in National Highway Development Programme (NHDP) in electronic toll collection (ETC), traffic monitoring. Over $1.8 million have also been allocated to intelligent transport system and parking in the recent five-year plan. NITI Aayog and Geneva-based International Road Federation signed an agreement recently to cooperate in the field of Intelligent Transportation Systems and to design a policy framework for the same. The National ITS policy will cover various sectors including traffic management, parking management, electronic enforcement of traffic rules and regulations. It would also cover fleet management and monitoring, and innovation and education in the field of ITS. According to a 2010 McKinsey report, transport will be one of the most capital-intensive sectors in India and By 2030. According to the same report, over 7,400 kilometres of metros and subways need to be constructed. The report also said that the share of public transport in an average Indian city is only 30 percent, well short of the minimum basic 50 percent. There have been many on-ground initiatives — for example Pune has planned an ITS implementations focussing on signal priority, vehicle tracking and automatic fare collection. In Delhi, parking lot at Palika Bazar has the capacity to park 1,050 cars and 500 two wheelers with the help of electronic parking guidance and VMS smart cards. India is forging ahead economically, but we are still facing issues because of weak infrastructure. Optimisations by leveraging advanced AI and algorithms can help the transportation system by reducing fuel usage and resource time spent on the field decreases. Estimates place AI in transportation market at $10.30 billion by 2030. One of the important problems is also the talent crunch. As the industry becomes more data-driven and digital, its talent needs will shift too. More people skilled in AI who have the knowledge of transportation technology would be needed. Is There A Gap Between AI Research And AI Applications?